In recent decades, divergent modes of capitalism – based on different models of growth, ownership structures, incentive systems and regulatory approaches – have emerged in geographies around the world. But the global economic crisis has called certain shared elements of the existing capitalist system into question. The panellists were asked to identify some of the fundamental flaws in the system and suggest what values ought to underpin capitalism in the wake of the crisis. While they sounded no calls for a radical transformation of the system, they did highlight lessons to be drawn from the crisis and offered specific prescriptions, from the perspective of regulation and corporate governance and not just values, on how capitalism might be reshaped into something more sustainable. • Capitalism is alive, if not alive and well, panellists agreed. As the only viable economic system, it will survive the downturn – albeit in a profoundly different form. • Corporations need to recognize that their shareholders are not their only stakeholders. They need to shift their emphasis from simply delivering shareholder value to also fulfilling their role as employers, community members and taxpayers. And they need to recognize that they are part of a value chain that includes their suppliers and customers. • Management decisions based on coldly rational, data-driven financial models are narrow and myopic. “A management with conscience” should supplant the all-too-common, bottom-line obsessed management style. Decisions need to be made in a more holistic fashion that will better serve to attract and retain the best talent, satisfy customers and maintain market share. • The role of corporate boards of directors, which are supposed to approve executive pay among other responsibilities, has too often been compromised, with chief executives commonly taking on the role of board chairpersons. These roles need to be kept separate, lest the chief executive fill the board with his or her own cronies. • Panellists agreed that wage differential-based executive compensation caps, based on some multiple of lowest employee pay, will become more commonplace. However, given existing disparities between wages from country to country, no standard multiple is practicable, and caps will likely be determined in individual labour markets. • Corporate social responsibility (CSR) and clear corporate strategies on sustainability and environmental impact will not be mere trappings for public relations gain, but will become de rigueur and increasingly demanded by stakeholders. Companies with the foresight to implement these policies will be long-term winners – just as Toyota and Honda, with their early move into hybrid automobiles, have reaped rewards. • Revamped rules and tightened regulatory oversight are not of themselves sufficient to lend longevity to capitalism. An embrace of ethics, rooted in the ethical or religious traditions that exist in all geographies, needs to be incorporated into company culture, especially at the executive level. WASHINGTON — As the curtain falls on one of the most devastating financial years on record, business bankruptcies — both large and small — continue to soar. The nearly 58,000 commercial bankruptcies filed nationwide through November of this year exceed the year-end totals of every year since Congress overhauled the bankruptcy laws in 2005, according to Automated Access to Court Electronic Records, an Oklahoma City bankruptcy data company. The 11-month figure is also 35 percent more than the nearly 43,000 business petitions filed in all of last year, the company’s data show. The Distressed Company Alert, a weekly newsletter about troubled public companies, typically adds five to 10 companies a week to its list. These days, it’s adding 18 to 24 a week. In Delaware, where many out-of-state companies file incorporation papers, bankruptcies have jumped 243 percent from last year. Many companies file in Delaware because the bankruptcy process tends to move faster there, said Gregory R. Stone, an assistant finance professor at the University of Nevada, Reno. When the recession began last December, businesses nationwide were filing an average of 206 bankruptcy petitions a day. That average has increased steadily since June, reaching 318 per day in November. Commercial bankruptcy filings are up 111 percent in Oregon, 91 percent in Utah and 83 percent in California, which leads the nation with nearly 12,000 business filings this year. Bankruptcy filings in the U.S. have almost topped 1 million this year, with one month to go. Another 91,355 companies and individuals sought court protection from creditors in November, according to data compiled by Automated Access to Court Electronic Records, a service of Jupiter ESources LLC in Oklahoma City. A similar number in December would push the total for 2008 to around 1.1 million, up 33 percent from last year. Daily filings climbed 2.6 percent last month from October, and “exceeded 5,000 per day for the first time since the 2005 changes to the bankruptcy law,” Mike Bickford, AACER’s president, said in an e-mail. He expects a total of more than 1.1 million filings for the year. Per capita, the most filings are in Tennessee, followed by Nevada, Georgia and Alabama. There were 590,500 filings in 2006 and 827,000 in 2007. CreditCards.Com created an interactive bankruptcy map utilizing AACER data. A rash of retailing bankruptcies is expected in the United States in the new year, but as the clock winds down on one of the weakest holiday shopping seasons in decades, the fallout has already begun. On Monday, the Parent Co., an Internet retailer of children’s products, had the dubious distinction of apparently becoming the first well-known retailer to file for Chapter 11 bankruptcy protection after Christmas. The company made the filing along with nine of its subsidiaries, including eToys. Many analysts did not expect bankruptcy filings to begin until January or February. The Parent Co., based in Denver, is majority owned by D.E. Shaw & Co. The company, which listed assets of $20.6 million and debt of $35.7 million, is seeking permission for a $10.9 million operating loan from a Shaw affiliate to keep operations running while it seeks a buyer. Challenging is hardly the word. This year, retailers including Circuit City, Boscov’s, Sharper Image, Mervyns, Linens ‘n Things, Whitehall Jewelers and Steve & Barry’s filed for bankruptcy protection. And that is very likely the tip of the iceberg. After studying more than 180 companies, AlixPartners, a restructuring firm, estimates that over the next 24 months there will be a fourfold increase in the number of retailers in deep distress — companies that do not have enough working capital or are unable to finance their debt. Hospital across the U.S. are being squeezed by tight credit, higher borrowing costs, investment losses and a jump in patients many recently unemployed or otherwise underinsured not paying their bills. In New Jersey, where 47 percent of hospitals posted losses in 2007, five of the 79 acute-care hospitals closed this year, and a sixth may close soon. In Hawaii, nearly every hospital is in trouble, with two filing for bankruptcy and one nearly closing recently. Bankruptcy News – Read the latest Bankruptcy News headlines in the US from this week. Search Bankruptcy News articles in various local markets. Stay up-to-date on Bankruptcy News and other Industry News on bizjournals.com. Ausam Energy (fdba Northlinks Limited) and its wholly-owned subsidiary, Noram Resources, filed for Chapter 11 protection with the U.S. Bankruptcy Court in the Southern District of Texas, case number 08-38223. This oil and gas exploration and development company is represented by Matthew Scott Okin of Okin Adams & Kilmer. The Company announced that the filings were necessitated by its inability to secure new equity or debt financing on terms acceptable to the Company’s current primary lender and that it “believes that the Chapter 11 filing provides it with the best chance of preserving the value of its business assets and maximizing the return to all of the stakeholders of the Company.” On December 8, 2008, the Company announced that it had “accepted with regret” the resignation of William M. Hitchcock as chairman and director. Constar International and four affiliates filed for Chapter 11 protection with the U.S. Bankruptcy Court in the District of Delaware, lead case number 08-13432. The Company is represented by Neil B. Glassman of Bayard. The Company supplies PET (polyethylene terephthalate) plastic containers for conventional applications throughout North America and Europe. Michael Hoffman, president and C.E.O. of Constar, said, “We are pleased to have received support from the holders of a majority in principal amount of our subordinated notes for a pre-arranged and consensual restructuring that significantly improves our balance sheet by eliminating $175 million in debt, reduces our annual cash interest obligations by approximately $19.3 million, and frees up cash to reinvest in our business to support future growth. We intend to continue to operate as usual during the restructuring process with minimal disruption to the business and our constituencies. We intend to pay all of our obligations in full – which includes providing pay and benefits to our employees as usual, honoring all contracts, and paying suppliers in full.” Constar International also announced that it has received commitments from its existing bank lenders to provide the Company with debtor-in-possession and exit financing of $75 million. The $75 million exit financing facility provides for committed financing for the three years following the closing of the D.I.P. financing. The U.S. Bankruptcy Court approved Propex’s motion for an order authorizing entry into a proposed exit financing agreement with a Wayzata Investment Partners and to pay (I) a work fee of $150,000 and (II) related expenses. On December 11, 2008, Wayzata Investment Partners sent the Debtors a non-binding letter agreement expressing interest in providing the Debtors with a delayed draw term exit facility in the amount of $65,000,000 that will mature in four years after the effective date of the Plan. Wayzata Investment Partners is a 19% holder of the Debtors’ pre-petition secured term debt facility and has had ongoing access to the Debtors’ financial information. Interstate Bakeries filed with the U.S. Bankruptcy Court a “Notice of Status of Prepetition Union Grievances.” The notice states that on November 3, 2004, the Court directed the Debtors to file every sixty days a summary statement of the number of prepetition union grievances that have been resolved and the aggregate dollar amount of such grievance resolutions. To that end, Interstate Bakeries states, “since the Petition Date, approximately 400 prepetition union grievances have been resolved with an aggregate dollar amount of such grievance resolutions being approximately $270,000.” The Court confirmed Interstate Bakeries’ Plan on December 5, 2008, but the Company has not yet emerged from Chapter 11 protection. Privately-held DESA and five affiliated Debtors filed for Chapter 11 protection with the U.S. Bankruptcy Court in the District of Delaware, lead case number 08-13422. This zone heating and specialty tools manufacturer and marketer is represented by Laura Davis Jones of Pachulski Stang Ziehl & Jones. According to documents filed with the Court, the Company’s largest creditor is Hong Kong-based Interpro Manufacturing, which is owed $3.1 million. Predecessor company DESA Holdings emerged from a previous Chapter 11 filing on April 12, 2005, after being sold to DESA LLC, formerly known as HIG – DESA Acquisition LLC. The Parent Company (aka Baby Universe) and nine of its subsidiaries filed for Chapter 11 protection with the U.S. Bankruptcy Court in the District of Delaware, lead case number 08-13412. This content, commerce and e-media provider is represented by Laura Davis Jones of Pachulski Stang Ziehl & Jones. “This action is an unfortunate but necessary and responsible step to preserve the company’s value for our stakeholders in light of the ongoing challenging retail environment,” said Michael Wagner, C.E.O. of The Parent Company. The Company announced that it has engaged Oppenheimer & Co. to explore strategic alternatives, including a sale of some or all of its businesses. On December 24, 2008, the Company received a Nasdaq Staff Deficiency Letter notifying the Company that it was not in compliance with the requirements for continued listing set forth in Nasdaq Marketplace Rule 4310(c)(14) because of its failure to timely file its Quarterly Report on Form 10-Q for the period ended November 1, 2008. Tribune filed with the U.S. Bankruptcy Court motions seeking to retain Lazard Freres & Co. (Contact: James E. Millstein) as investment banker and financial advisor for the following fees: a monthly fee of $200,000 and a $16 million restructuring/disposition fee; Daniel J. Edelman (Contact: Jeff Zilka) as corporate communications and investor relations consultant at hourly rates ranging from $320 to 550; Reed Smith (Contact: John D. Shugrue) as special counsel for certain litigation matters at the following hourly rates: paraprofessional at $105 to 315 and attorney at 245 to 905; Paul, Hastings, Janofsky & Walker (Contact: Richard A. Chelsey) as special counsel for general real estate and related matters at the following hourly rates: associate at $405 to 560, of counsel at 645 and partner at 765 to 825; PricewaterhouseCoopers (Contact: William T. England) as compensation and tax advisor and independent auditor at the following hourly rates: paraprofessional at $150, associate at 225, senior associate at 290, manager at 400, director/senior manager at 565, managing director at 675 and partner at 780; Jenner & Block (Contact: David Bradford) as special counsel for certain litigation matters at the following hourly rates: project assistant at $150 to 160, paraprofessional at 160 to 260, associate at 325 to 535 and partner at 525 to 1,000; McDermott Will & Emery (Contact: Blake D. Rubin) as special counsel for general domestic legal matters at the following hourly rates: paraprofessional at $105 to 345, associate at 285 to 590 and partner at 445 to $1,010; Alvarez & Marsal North America (Contact: Thomas E. Hill) as restructuring advisor at the following hourly rates: administration/analyst at $175 to 350, associate/senior associate at 275 to 450, director/senior director at 375 to 550 and managing director at 525 to 750 and Sidley Austin (Contact: James F. Conlan) as attorney at the following hourly rates: paraprofessional at $95 to 385, associate at 240 to 650, senior counsel at 400 to 875 and partner at 575 to $1,100. Roberta A. DeAngelis, the U.S. Trustee assigned to the W.R. Grace case, filed with the U.S. Bankruptcy Court a preliminary objection to the First Amended Joint Plan of Reorganization of W.R. Grace and Company, et al., the official committee of asbestos personal injury claimants, the asbestos personal injury future claimants’ representative and the official committee of equity security holders. According to the objection, Article 8 of the Plan contains various provisions regarding releases, channeling injunctions for personal injury and property damage claims, injunctions for general claims and the discharge of the Debtors. As such, the Trustee asserts a preliminary objection to the various release and injunction provisions set out in Article 8 of the Plan, including that such provisions are in violation of relevant Third Circuit law and 11 U.S.C. § 524(g). In addition, Section 11.8 of the Plan contains a broad exculpation clause that may not be appropriate under relevant Third Circuit law, and Section 7.14 of the Plan contains provisions that the Debtors are deemed consolidated for Plan purposes only. One comment from me – the media didn’t cause this, the poor people in America didn’t cause this and people feeling good or not didn’t cause this. It’s sort of like when the powers that be believed that the earth was flat – it didn’t make it so and neither did not believing that make it round. US and Global Economic Crisis – have the laws been changed such that no recourse is possible or – IS IT Still Illegal? Collusion is an agreement, usually secretive, which occurs between two or more persons to deceive, mislead, or defraud others of their legal rights, or to obtain an objective forbidden by law typically involving fraud or gaining an unfair advantage. It can involve “wage fixing, kickbacks, or misrepresenting the independence of the relationship between the colluding parties.” All acts affected by collusion are considered void. Collateralized debt obligations (CDOs) are an unregulated type of asset-backed security and structured credit product. CDOs are constructed from a portfolio of fixed-income assets. These assets are divided by the ratings firms that assess their value into different tranches: senior tranches (rated AAA), mezzanine tranches (AA to BB), and equity tranches (unrated). Losses are applied in reverse order of seniority and so junior tranches offer higher coupons (interest rates) to compensate for the added default risk. Since 1987, CDOs have become an important funding vehicle for fixed-income assets. Some news and media commentary blame the financial woes of the 2007-2008 credit crunch on the complexity of CDO products, and the failure of risk and recovery models used by credit rating agencies to value these products. Some institutions buying CDOs lacked the competency to monitor credit performance and/or estimate expected cash flows. On the other hand, some academics maintain that because the products are not priced by an open market, the risk associated with the securities is not priced into its cost and is not indicative of the extent of the risk to potential purchasers. As many CDO products are held on a mark to market basis, the paralysis in the credit markets and the collapse of liquidity in these products led to substantial write-downs in 2007. Major loss of confidence occurred in the validity of the process used by ratings agencies to assign credit ratings to CDO tranches and this loss of confidence persists into 2008. The first CDO was issued in 1987 by bankers at now-defunct Drexel Burnham Lambert Inc. for Imperial Savings Association, a savings institution that later became insolvent and was taken over by the Resolution Trust Corporation on June 22, 1990. A decade later, CDOs emerged as the fastest growing sector of the asset-backed synthetic securities market. This growth may reflect the increasing appeal of CDOs for a growing number of asset managers and investors, which now include insurance companies, mutual fund companies, unit trusts, investment trusts, commercial banks, investment banks, pension fund managers, private banking organizations, other CDOs and structured investment vehicles. CDOs offered returns that were sometimes 2-3 percentage points higher than corporate bonds with the same credit rating. It may also reflect the greater profit margins that CDOs provide to their manufacturers. According to the Securities Industry and Financial Markets Association, aggregate global CDO issuance totaled US$ 157 billion in 2004, US$ 272 billion in 2005, US$ 552 billion in 2006 and US$ 503 billion in 2007. Research firm Celent estimated the size of the CDO global market to close to $2 trillion by the end of 2006. A special purpose entity (SPV) acquires a portfolio of credit. Common assets held include mortgage-backed securities, Commercial Real Estate (CRE) debt, and high-yield corporate loans. The SPV issues different classes of bonds and equity and the proceeds are used to purchase the portfolio of credits. The bonds and equity are entitled to the cash flows from the portfolio of credits, in accordance with the Priority of Payments set forth in the transaction documents. The senior notes are paid from the cash flows before the junior notes and equity notes. In this way, losses are first borne by the equity notes, next by the junior notes, and finally by the senior notes. In this way, the senior notes, junior notes, and equity notes offer distinctly different combinations of risk and return, while each reference the same portfolio of debt securities. Tacit collusion occurs when cartels are illegal or overt collusion is absent. Put another way, two firms agree to play a certain strategy without explicitly saying so. On October 15, 1970, the Racketeer Influenced and Corrupt Organizations Act (18 U.S.C. §§ 1961-1968), commonly referred to as the “RICO Act”, became law. The RICO Act allowed law enforcement to charge a person or group with racketeering, defined as committing multiple violations of certain varieties within a 10 year period. The purpose of the RICO Act was stated as “the elimination of the infiltration of organized crime and racketeering into legitimate organizations operating in interstate commerce.” S.Rep. No. 617, 91st Cong., 1st Sess. 76 (1969). However, the statute is sufficiently broad to encompass illegal activities relating to any enterprise affecting interstate or foreign commerce. Section 1961(10) of Title 18 provides that the Attorney General may designate any department or agency to conduct investigations authorized by the RICO statute and such department or agency may use the investigative provisions of the statute or the investigative power of such department or agency otherwise conferred by law. Absent a specific designation by the Attorney General, jurisdiction to conduct investigations for violations of 18 U.S.C. § 1962 lies with the agency having jurisdiction over the violations constituting the pattern of racketeering activity listed in 18 U.S.C. § 1961. A racket is an illegal business, usually run as part of organized crime. Engaging in a racket is called racketeering. Several forms of racket exist. The best-known is the protection racket, in which criminals demand money from businesses in exchange for the service of “protection” against crimes that the racketeers themselves instigate if unpaid. A second well known example is the numbers racket, a form of illegal lottery. The term racket comes from the Italian word ricatto (blackmail) and is also used as a pejorative term for legitimate businesses. Typically, this usage is based on the example of the “protection racket” and indicates that the speaker believes that the business is making money by selling a solution to a problem that it created (or that it intentionally allows to continue to exist), specifically so that continuous purchases of the solution are always needed. In criminology public order crime is defined by Siegel (2004) as “…crime which involves acts that interfere with the operations of society and the ability of people to function efficiently”, i.e. it is behaviour that has been labelled criminal because it is contrary to shared norms, social values, and customs. Robertson (1989:123) maintains that a crime is nothing more than “…an act that contravenes a law.” Generally speaking, deviancy is criminalized when it is too disruptive and has proved uncontrollable through informal sanctions. Public order crime should be distinguished from political crime. In the former, although the identity of the “victim” may be indirect and sometimes diffuse, it is cumulatively the community that suffers, whereas in a political crime, the state perceives itself to be the victim and criminalizes the behaviour it considers threatening. Thus, public order crime includes consensual crime, victimless vice, and victimless crime. It asserts the need to use the law to maintain order both in the legal and moral sense. Public order crime is now the preferred term as against the use of the word “victimless” based on the idea that there are secondary victims (family, friends, acquaintances, and society at large) that can be identified. For example, in cases where a criminal act subverts or undermines the commercial effectiveness of normative business practices, the negative consequences extend beyond those at whom the specific immediate harm was intended. Similarly, in environmental law, there are offences that do not have a direct, immediate and tangible victim, so crimes go largely unreported and unprosecuted because of the problem of lack of victim awareness. In short, there are no clear, unequivocal definitions of ‘consensus’, ‘harm’, ‘injury’, ‘offender’, and ‘victim’. Such judgments are always informed by contestable, epistemological, moral, and political assumptions (de Haan, 1990: 154). In criminology, corporate crime refers to crimes committed either by a corporation (i.e., a business entity having a separate legal personality from the natural persons that manage its activities), or by individuals that may be identified with a corporation or other business entity (see vicarious liability and corporate liability). state-corporate crime because, in many contexts, the opportunity to commit crime emerges from the relationship between the corporation and the state. Securities fraud, also known as stock fraud and investment fraud, is a practice in which investors make purchase or sale decisions on the basis of false information, frequently resulting in losses, in violation of the securities laws. Generally speaking, securities fraud consists of deceptive practices in the stock and commodity markets, and occurs when investors are enticed to part with their money based on untrue statements. Securities fraud includes outright theft from investors and misstatements on a public company’s financial reports. The term also encompasses a wide range of other actions, including insider trading and front-running and other illegal acts on the trading floor of a stock or commodity exchange. According to the FBI, securities fraud includes false information on a company’s financial statement and Securities and Exchange Commission (SEC) filings; lying to corporate auditors; insider trading; stock manipulation schemes, and embezzlement by stockbrokers. Fraud by high level corporate officials became a subject of wide national attention during the early 2000s, as exemplified by corporate officer misconduct at Enron. It beame a problem of such scope that the Bush Administration announced what it described as an “aggressive agenda” against corporate fraud. Less widely publicized manifestations continue, such as the securities fraud conviction of Charles E. Johnson Jr., founder of PurchasePro in May of 2008. FBI director Robert Muller predicted in April of 2008 that corporate fraud cases will increase because of the subprime mortgage crisis. In 2002, a wave of separate but often related accounting scandals became known to the public in the U.S. All of the leading public accounting firms—Arthur Andersen, Deloitte & Touche, Ernst & Young, KPMG, PricewaterhouseCoopers— and others have admitted to or have been charged with negligence to identify and prevent the publication of falsified financial reports by their corporate clients which had the effect of giving a misleading impression of their client companies’ financial status. In several cases, the monetary amounts of the fraud involved are in the billions of USD. A number of major brokerages and mutual fund firms were accused of various deceptive acts that disadvantaged customers. Among them were late trading and market timing. Various SEC rules were enacted to curtail this practice. Bank of America Capital Management was accused by the SEC of having undisclosed arrangements with customers to allow short term trading. A Ponzi scheme is a fraudulent investment operation that involves promising or paying abnormally high returns (“profits“) to investors out of the money paid in by subsequent investors, rather than from net revenues generated by any real business. 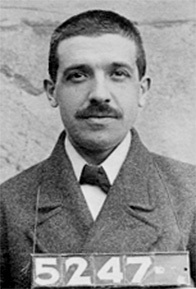 It is named after Charles Ponzi. A Ponzi scheme has similarities with a pyramid scheme though the two types of fraud are different. A Ponzi scheme usually offers abnormally high short-term returns in order to entice new investors. The high returns that a Ponzi scheme advertises (and pays) require an ever-increasing flow of money from investors in order to keep the scheme going. The system is doomed to collapse because there are little or no underlying earnings from the money received by the promoter. However, the scheme is often interrupted by legal authorities before it collapses, because a Ponzi scheme is suspected and/or because the promoter is selling unregistered securities. As more investors become involved, the likelihood of the scheme coming to the attention of authorities increases. An advertisement is placed promising extraordinary returns on an investment – for example 20% for a 30 day contract. The precise mechanism for this incredible return can be attributed to anything that sounds good but is not specific: “global currency arbitrage“, “hedge futures trading“, “high-yield investment programs“, “Offshore investment“, or something similar. With no proven track record for the investors, only a few investors are tempted, usually for smaller sums. Sure enough, 30 days later the investor receives the original capital plus the 20% return. At this point, the investor will have more incentive to put in additional money and, as word begins to spread, other investors grab the “opportunity” to participate. More and more people invest, and see their investments return the promised large returns. The reality of the scheme is that the “return” to the initial investors is being paid out of the new, incoming investment money, not out of profits. No “global currency arbitrage”, “hedge futures trading” or “high yield investment program” is actually taking place. Instead, when investor D puts in money, that money becomes available to pay out “profits” to investors A, B, and C. When investors X, Y, and Z put in money, that money is available to pay “profits” to investors A through W.
One reason that the scheme initially works so well is that early investors – those who actually got paid the large returns – quite commonly reinvest (keep) their money in the scheme (it does, after all, pay out much better than any alternative investment). Thus those running the scheme do not actually have to pay out very much (net) – they simply have to send statements to investors that show how much the investors have earned by keeping the money in what looks like a great place to get a high return. They also try to minimize withdrawals by offering new plans to investors, often where money is frozen for a longer period of time, for example 50% return per month for one year. They then get new cash flows as investors are told they could not transfer money from the first plan to the second. the scheme is exposed, because when legal authorities begin examining accounting records of the so-called enterprise they find that many of the “assets” that should exist do not. A bubble. A bubble relies on suspension of belief and an expectation of large profits, but it is not the same as a Ponzi scheme. A bubble involves ever-rising (and unsustainable) prices in an open market (be that shares of a stock, housing prices, the price of tulip bulbs, or anything else). As long as buyers are willing to pay ever-increasing prices, sellers can get out with a profit. And there doesn’t need to be a schemer behind a bubble. (In fact, a bubble can arise without any fraud at all – for example, housing prices in a local market that rise sharply but eventually drop sharply because of overbuilding.) Bubbles are often said to be based on “greater fool” theory. Although, according to the Austrian Business Cycle Theory, bubbles are caused by expanding the money supply beyond what genuine capital investment supports, and in this case would qualify as a Ponzi scheme, with expanded credit taking the place of an expanded pool of investors. In June 2005, in Los Angeles, California, John C. Jeffers was sentenced to 168 months (14 years) in federal prison and ordered to pay $26 million in restitution to more than 80 victims. Jeffers and his confederate John Minderhout ran what they said was a high-yield investment program they called the “Short Term Financing Transaction.” The funds were collected from investors around the world from 1996 through 2000. Some investors were told that proceeds would be used to finance humanitarian projects around the globe, such as low-cost housing for the poor in developing nations. Jeffers sent letters to some victims that falsely claimed the program had been licensed by the Federal Reserve and the program had a relationship with the International Monetary Fund and the United States Treasury. Jeffers and Minderhout promised investors profits of up to 4,000 percent. Most of the money collected in the scheme went to Jeffers to pay commissions to salespeople, to make payments to investors to keep the scheme going, and to pay his own personal expenses. In February 2006, Edmundo Rubi pleaded guilty to bilking hundreds of middle and low-income investors out of more than $24 million between 1999 and 2001, when he fled the U.S. after becoming aware that he was under suspicion. The investors in the scheme, called “Knight Express”, were told that their funds would be used to purchase and resell Federal Reserve notes, and were promised a six percent monthly return. Most of those bilked were part of the Filipino community in San Diego. 12DailyPro was a version of what is commonly known as a “paid autosurf” program where “investors” deposited money and received an extremely high profit (44%) within a short period (12 days). Charis Johnson created what authorities considered one of the largest modern day versions of the Ponzi scheme. She accumulated a total of over US$1.9 million from the program. More than 300,000 people joined over the course of 8 months, spending over $500 million. When a federal investigation of 12DailyPro took place, its main payment processor, Stormpay, froze all funds related to it. Stormpay has since refused to return any of these funds. On February 24, 2006, the United States Securities and Exchange Commission (SEC) ordered 12DailyPro and its parent company to cease and desist all operations. On February 28, a Los Angeles judge ordered all company assets and records to be turned over to an appointed receiver for investigation. Charis F. Johnson now faces criminal and civil suits from both local and federal agencies. In May 2007, the Florida Office of Financial Regulation and the Florida Department of Law Enforcement announced they were investigating local Bradenton investment broker Michael O. Traynor, 56, and his son, Matthew O. Traynor, 28, on complaints from at least a dozen residents in Sarasota and Manatee counties alleging that the Traynors defrauded clients out of approximately $8 million in investor funds. On November 16, 2007, Michael Traynor, who had found many of his clients though his church social circles, was arrested on a first degree felony grand theft charge that he had stolen $6.5 million from his investors. It is believed Traynor stole funds from at least 34 clients in Sarasota, Manatee and Hillsborough counties between 2001 and February 2007. At least 10 investors filed complaints with state regulators, and many had unfruitful meetings with Traynor to have money returned, including those who met him through Bradenton Christian Reformed Church and Bradenton Christian School. Representatives of the Florida Department of Law Enforcement called Traynor’s scam a “classic Ponzi-scheme”. Traynor had sold investments in Manatee County for InterSecurities Inc., also known as ISI, since 1997, and was the company’s Bradenton branch manager before he was fired in February 2007. Currently (May 2008) the Finnish National Bureau of Investigation is investigating a long running scheme where possibly over 10,000 people could have lost up to €100 million investing in WinCapita‘s WinClub “investment club”, supposedly a currency trading scheme. Investigators now say they have found no evidence that WinCapita ever engaged in any legitimate currency trading at all. Some manifestations of this white collar crime have become more frequent as the Internet gives criminals greater access to prey. The trading volume in the United States securities and commodities markets, having grown dramatically in the 1990s, has led to an increase in fraud and misconduct by investors, executives, shareholders, and other market participants. Securities fraud is becoming more complex as the industry develops more complicated investment vehicles. In addition, white collar criminals are expanding the scope of their fraud and are looking outside the United States for new markets, new investors, and banking secrecy havens to hide unjust enrichment. A study conducted by the New York Stock Exchange in the mid-1990s reveals approximately 51.4 million individuals owned some type of traded stock, while 200 million individuals owned securities indirectly. These same financial markets provide the opportunity for wealth to be obtained and the opportunity for white collar criminals to take advantage of unwary investors. Recovery of assets from the proceeds of securities fraud is a resource intensive and expensive undertaking because of the cleverness of fraudsters in concealment of assets and money laundering, as well as the tendency of many criminals to be profligate spenders. A victim of securities fraud is usually fortunate to recover any money from the defrauder. Sometimes the losses caused by securities fraud are difficult to quantify. For example, insider trading is believed to raise the cost of capital for securities issuers, thus decreasing overall economic growth. The United States Private Securities Litigation Reform Act of 1995 (PSLRA) implemented several substantive changes affecting certain cases brought under the federal securities laws, including changes related to pleading, discovery, liability, class representation, and awards fees and expenses. The PSLRA imposes new rules on securities class action lawsuits. It allows judges to decide the most adequate plaintiff in class actions. It mandates full disclosure to investors of proposed settlements, including the amount of attorneys’ fees. It bars bonus payments to favored plaintiffs, and permits judges to scrutinize lawyer conflicts of interest. 6. the plaintiff can allege and prove “loss causation”, which means that the allegedly fraudulent misrepresentation or omission caused the plaintiff’s economic loss. See Dura Pharmaceuticals, Inc. v. Broudo, 544 U.S. 336 (2005). Each of these elements has been heavily litigated in thousands of cases over the past 70 years, and the courts have applied these six elements in a multitude of different factual situations. On December 22, 1995, the U.S. Senate voted to override President Clinton’s December 19, 1995 veto of the Private Securities Litigation Reform Act of 1995 (the “bill” or the “Reform Act”). With the House of Representatives having similarly voted on December 20, 1995 to override the veto, the Reform Act, which affects dramatically the ability of companies to defend themselves against class actions brought under the Federal securities laws, became law on December 22, 1995; its provisions do not apply, however, to any private action commenced before that date. The bill is a complex piece of legislation. This bulletin is intended to outline only some of the most important provisions of the bill and their effect on corporate disclosure issues. All companies should immediately review their practices to take advantage of the new provisions. We can provide further analysis to anyone who is interested. Under the bill, a written or oral statement that predicts the future prospects of a company is immune from civil liability (although not from actions brought by the SEC) if either (1) the statement is identified as a forward-looking statement and also identifies “important” factors that may cause actual results to differ materially from those predicted or (2) the statement was not made with actual knowledge of its falsity. Reflecting Congressional supporters’ belief that the U.S. capital markets will benefit from an increased flow of forward-looking information, the Reform Act adopts a strong form of the case law that has become known as the “bespeaks caution” doctrine. Under the formulation in the Reform Act, an issuer (and others covered by the safe harbor) will be immune from civil liability if the forward-looking statement is identified as a forward-looking statement. The legislative history accompanying the bill makes clear that it is unnecessary to state explicitly that “This is a forward-looking statement.” Instead, cautionary words such as “we estimate” or “we project” likely will be sufficient. In order for a company to benefit from the protections offered by the “bespeaks caution” prong of the safe harbor, a forward-looking statement must also be accompanied by one or more qualifiers stating “important factors” why the results predicted in the forward-looking statement may not come true. It will not be necessary to identify all the factors that might cause the statement not to “pan out” or even to identify the factor that causes the final result to differ from the prediction. The point is to identify enough factors so that an investor should realize the risks involved in relying on the forward-looking statement. What is a Forward-Looking Statement? The Reform Act contains a thorough definition of “forward-looking statement,” including those items that one might expect, i.e., projections of revenue or losses, plans and objectives for future operations, products or services and statements relating to future economic performance that would normally be included in a “Management Discussion & Analysis” section. It also includes any underlying or related assumptions that are stated. Projections and other forward-looking statements contained in GAAP financial statements are not protected by any provision of the safe harbor. Thus, contingent liability disclosure that is protected by the provisions of the safe harbor when contained in the body of a document (such as a Form 10-K) may not be protected by the safe harbor to the extent that it is also contained in the financial statement footnotes. Existing SEC Rule 175, which is promulgated under the Securities Act, provides a much narrower regulatory safe harbor for certain forward-looking information, including, according to some judicial interpretations, information contained in financial statements. Rule 175 is not affected by the Reform Act. The safe harbor does not apply to statements made in connection with initial public offerings, rollup transactions, tender offers or partnership or limited liability company offerings, among other things. Issuers who are subject to judicial or administrative decrees or orders or who have been convicted of crimes relating to violations of the securities laws are prohibited from relying on the safe harbor for three years after the date of such conviction or the entry of such decree or order. In addition to the general safe harbor coverage for both written and oral statements, the bill affords special “bespeaks caution” treatment for oral forward-looking statements made by issuers and their officers, directors and employees. As to such statements, the general requirement that a forward-looking statement be accompanied by a listing of “important factors” can be met by a statement identifying the information as forward-looking along with a further statement clearly conveying the message that actual results may differ materially from the results predicted in the forward-looking statement and referencing a “readily available written document” that contains cautionary language meeting the standard discussed above. The document reference may be to an SEC filing or to any publicly disseminated document, including those posted by an issuer on-line, as, for example, an earlier press release. Thus, in an oral presentation to analysts or any other group, a company spokesman should refer to the fact that the presentation contains predictions, should identify those by reference to “estimates” or “projections” or similar terms and should refer to written information that is available to the listeners that contains meaningful cautionary language or identifies important factors that could cause actual results to differ from the oral projections. Persons covered by the safe harbor are not limited to reliance on the “bespeaks caution” prong; in fact, the bill provides that unless a plaintiff proves that a forward-looking statement was made with actual knowledge of its falsity, then the maker of the statement will be immune from liability based on the statement, even where the maker of the statement has not met the “bespeaks caution” requirements. In a colloquy on the Senate floor, the bill’s proponents made it clear that recklessness does not suffice for a finding of actual knowledge under this provision. 2. State court class action securities fraud litigation against publicly-traded issuers has become a material factor in the litigation process since passage of the Act. These cases were rare prior to the Act’s passage. In addition to this increase in state class action activity, Figure 1 suggests that there has been a significant shift in the kinds of defendants appearing in state litigation. Prior to the Reform Act, most state cases (approximately 89%) alleging fraudulent activity in connection with the purchase or sale of securities involved non-publicly-traded securities.14 By contrast, the vast majority of state court class actions filed since the Reform Act (81.5%) involve securities that trade on national markets.15 These cases typically involve allegations that the price of the company’s securities was inflated due to misrepresentations or omissions affecting transactions on national markets, precisely the kinds of claims that were most often filed in federal court prior to the Act. In 1997, these actions continue to be filed in state court, despite overall declines in state filings. The sudden increase in the appearance of these cases in state court strongly supports the inference that the shift in forum selection was driven by the passage of the Reform Act. 3. Plaintiffs are alleging accounting fraud and trading by insiders more frequently than before the Act’s effective date. In particular, there has been a significant increase in the number of federal complaints alleging trading by insiders during the period when the fraud was allegedly alive in the market and a significant increase in the number of cases alleging misrepresentations or omissions in financial statements as the basis for liability. Approximately 59% of a sample of post-Reform Act federal complaints allege a misrepresentation or omission in financial statements.16 Allegations of misstated financials account for 67.4% of Section 10(b) complaints involving publicly-traded companies.17 In sharp contrast, similar allegations are found in only 34% of pre-Reform Act cases.18 Allegations of trading by insiders now appear in about 57% of post-Reform Act cases, whereas these allegations are found in only 21% of pre-Reform Act cases. Alleged trading by insiders is particularly important in cases against high technology companies, appearing in 73% of those cases, but that statistic must be interpreted with caution because of the prevalence of option-based compensation in the high technology sector. 1. How will the courts interpret the Act’s requirement that complaints “state with particularity all facts” on which an allegation of fraud is based? A major question raised by this provision relates to the vigor with which courts will interpret the statutory language calling for an articulation of all facts upon which a plaintiffs’ information or belief underlying a complaint is based. For example, the court in In re Silicon Graphics, Inc. Securities Litig. , Fed. Sec. L. Rep. ¶99,468 (CCH), 1997 WL 285057 (N.D. Cal. May 23, 1997), held that plaintiffs’ allegations in a 73-page amended complaint were too generic and that in order to provide sufficiently detailed information about alleged negative internal reports the allegations “should include the titles of the reports, when they were prepared, who prepared them, to whom they were directed, their content, and the sources from which plaintiffs obtained this information.” Id. at 97,133. The court also observed that the degree of specificity required by the Reform Act was the subject of specific debate in Congress, and quoted the statement of Rep. Dingell who expressed concern on the record that, under the legislation as drafted, names of confidential informants, employees, competitors, and others who provided information leading to the filing of the case would be required to be disclosed. Id. at 97,130-97,131. The court found that Congress had enacted precisely the language as to which Rep. Dingell had complained, and that plaintiffs must plead the sort of information described by Rep. Dingell to meet the requirements of the Reform Act.42 Id. at 97,131. Plaintiffs did not meet this burden and the complaint was dismissed. 2. How will the courts interpret the Reform Act’s “strong inference” pleadings standard? Will they adopt the Second Circuit standard or move to a stricter standard? Under the Reform Act, plaintiffs are now required to “state with particularity facts giving rise to a strong inference that the defendant acted with the required state of mind.”45 The interpretation of this standard has been the subject of considerable disagreement among district courts. The debate focuses on whether the Reform Act simply adopts the Second Circuit standard, or goes further. Several courts have held that the Reform Act adopted the Second Circuit pleading standard,46 while other courts have found that the Reform Act standard goes beyond the Second Circuit standard.47 No Court of Appeals has directly addressed this issue. Accordingly, we are uncertain if, in the long run, courts will adopt the Second Circuit standard or move to a stricter standard such as that employed by the Silicon Graphics court. Again, we expect that the resolution of this uncertainty will materially affect the future evolution of federal securities fraud litigation. The higher the standard courts set, the more difficult it becomes for plaintiffs to withstand motions to dismiss and the lower the volume of anticipated litigation in the federal courts. In law, a class action or a representative action is a form of lawsuit where a large group of people collectively bring a claim to court. This form of collective lawsuit originated in the United States and is still predominately a US phenomenon, at least the US variant of it. However, in several European countries with civil law (as opposed to the Anglo-American common law principle, which is used by US courts), changes have in recent years been made that allow consumer organisations to bring claims on behalf of large groups of consumers. In the United States federal courts, class actions are governed by Federal Rules of Civil Procedure Rule 23 and 28 U.S.C.A. § 1332 (d). Class action lawsuits may be brought in federal court if the claim arises under federal law, or if the claim falls under 28 USCA § 1332 (d). Under § 1332 (d) (2) the federal district courts have original jurisdiction over any civil action where the amount in controversy exceeds $5,000,000 and either 1. any member of a class of plaintiffs is a citizen of a State different from any defendant; 2. any member of a class of plaintiffs is a foreign state or a citizen or subject of a foreign state and any defendant is a citizen of a State; or 3. any member of a class of plaintiffs is a citizen of a State and any defendant is a foreign state or a citizen or subject of a foreign state. Nationwide plaintiff classes are possible, but such suits must have a commonality of issues across state lines. This may be difficult if the civil law in the various states have significant differences. Large class actions brought in federal court frequently are consolidated for pre-trial purposes through the device of multidistrict litigation (MDL). It is also possible to bring class action lawsuits under state law, and in some cases the court may extend its jurisdiction to all the members of the class, including out of state (or even internationally) as the key element is the jurisdiction that the court has over the defendant. Class members often receive little or no benefit from class actions. Examples cited for this include large fees for the attorneys, while leaving class members with coupons or other awards of little or no value; unjustified awards are made to certain plaintiffs at the expense of other class members; and confusing notices are published that prevent class members from being able to fully understand and effectively exercise their rights. Under the U.S. Securities Laws, specifically The Securities Act of 1933, the mere offer to sell a security — unless there is an effective registration statement on file with the SEC for the offer — via the Internet can be a felony subjecting the offeror to a 5 year federal prison term. See the Securities Act of 1933, Section 5(c) Of course, sales and deliveries after sale of unregistered securities is unlawful (Section 5(a)) as is failure to deliver a prospectus (Section 5(b)). Listen to an example from my own experience as a securities lawyer in Los Angeles. Many years ago a young man came into my office and asked my advice about whether he could advertise in the Hollywood Reporter for investors in a movie he wanted to make. About a week later, he phoned me up and said he had got a letter from the SEC requiring him to refund any money he had collected and requiring him to visit the LA office of the SEC. It appears that the SEC reads the Hollywood Reporter. It also reviews the Internet newsgroups. Certain transactions are exempted from the prohibition (See Section 4) and certain securities are exempted from the prohibition (See Section 3). How a security is defined is set forth in Section 2(1) — and includes, among other things, any note, stock, bond, investment contract, put call, straddle, option, etc. Twelve Wall Street firms that had started competing platforms for trading unregistered securities known as 144a issues have agreed to cooperate on a single platform operated by the Nasdaq stock market, the exchange said yesterday. The move, the result of two months of negotiations between the firms and Nasdaq, the country’s second-largest stock exchange after the New York Stock Exchange, will bring liquidity and transparency to a market that has so far been opaque, the chief executive of Nasdaq, Robert Greifeld, said. Bank of America, Bear Stearns, Citigroup, Credit Suisse, Deutsche Bank, Goldman Sachs, JPMorgan, Lehman Brothers, Merrill Lynch, Morgan Stanley, UBS and Wachovia will join with Nasdaq to form the market, called the Portal Alliance. Mr. Greifeld said the 144a market would experience strong growth in trading volume. Companies are increasingly turning to private investors, known as qualified institutional buyers with at least $100 million in assets, to raise capital through 144a offerings without the regulatory burden of a public offering. In recent months, many securities firms had started 144a platforms, including GSTrUE by Goldman Sachs and OPUS-5, begun by a group of five banks including Citigroup, Merrill Lynch and Lehman Brothers Holdings. Nasdaq started a portal market this year to trade these private placements of stock. Nasdaq data show the private placement market reached $162 billion last year, outpacing the $154 billion value of overall public offerings. Missouri Attorney General Jay Nixon has filed a lawsuit to shut down a St. Louis company that sold at least $3.8 million in unregistered securities to investors on the promise of exorbitant rates of return. The lawsuit cites GPGW and its subsidiaries, Global Wealth Investments, Opportunity Lives and Global Wealth Builders, for numerous violations of the Missouri Securities Act of 2003 and the Missouri Merchandising Practices Act. Also named as defendants in the lawsuit are GPGW president, Andre E. Mitchell of O’Fallon, Ill., and vice president Henry L. Allen of St. Louis. The lawsuit claims Mitchell and the other defendants sold investments to at least 461 persons nationwide, including at least 66 residents from Missouri, at a total value of at least $3,867,000. Documents provided to investors by the defendants promised rates of return of up to 500 percent to 800 percent within four to 24 months. Investors also were falsely promised that their principal investment would always be secure, the lawsuit says. The defendants ignored two previous cease and desist orders issued by the Missouri Commissioner of Securities, Nixon and Missouri Secretary of State Robin Carnahan say. • Order the defendants to pay all court, investigative and prosecution costs in the case. brought by credit card holders against a group of major banks over the use of forced arbitration in lending agreements can go forward. The Second Circuit Court of Appeals’ ruling overturned the ruling of a lower court that threw the suit out on procedural grounds. The appellate judges on the case, Ross v. Bank of America, ruled that there was sufficient evidence to indicate that violations of the Sherman Antitrust Act were taking place. “According to [the plaintiffs], the banks conspired in order ‘to immunize themselves from economic responsibility for antitrust and consumer protection violations, and to reap supra-competitive profits from their cardholders,'” the court said in its ruling. “These harms are sufficiently ‘actual or imminent,’ as well as ‘distinct and palpable,’ to constitute…injury in fact,” the court said. The PSLRA was enacted into law by the U.S. Congress over a veto by President Bill Clinton. The U.S. House of Representatives approved the bill by a 319-100 margin, and the U.S. Senate approved it 68-30. Every Republican in the House voted in favor of the legislation, and only four Republicans in the Senate voted against it: William Cohen, John McCain, Richard Shelby, and Arlen Specter. Prominent liberals in the Democratic Party like senators Tom Harkin, Ted Kennedy, Claiborne Pell, and Carol Moseley Braun voted in favor of the legislation while many conservative-to-moderate Democrats such as senators John Breaux, Robert Byrd, Fritz Hollings, and Sam Nunn and representatives such as John Murtha and Gene Taylor voted against it. Both the current Senate majority leader, Harry Reid, and the current Speaker of the House, Nancy Pelosi, voted for the bill. This event was one of two times during Bill Clinton’s entire two terms in office that Congress successfully overrode one of his 37 presidential vetoes to enact a bill into law. The PSLRA was originally developed as part of Newt Gingrich‘s Contract With America. Its principal authors in the House were Representatives Thomas Bliley, Jack Fields and Chris Cox. Senators Chris Dodd and Pete Domenici sponsored the legislation in the Senate. The Dura decision held that a plaintiff in a Rule 10b-5 case had not adequately pleaded loss causation by merely alleging that he “paid artificially inflated prices for Dura securities” at the time of purchase. The Supreme Court observed that an investor who purchases a stock at an artificially inflated price suffers no economic loss at the time of purchase. The loss occurs only when the truth is disclosed and the stock price falls as a result. Thus, a plaintiff who sells his shares “before the relevant truth begins to leak out” does not suffer any economic damage. The plaintiff in Dura failed to allege that the “share price fell significantly after the truth became known”, and therefore the complaint had not alleged loss causation. Accounting scandals, or corporate accounting scandals are political and business scandals which arise with the disclosure of misdeeds by trusted executives of large public corporations. Such misdeeds typically involve complex methods for misusing or misdirecting funds, overstating revenues, understating expenses, overstating the value of corporate assets or underreporting the existence of liabilities, sometimes with the cooperation of officials in other corporations or affiliates. In public companies, this type of “creative accounting” can amount to fraud and investigations are typically launched by government oversight agencies, such as the Securities and Exchange Commission (SEC) in the United States. In 2002, a wave of separate but often related accounting scandals became known to the public in the U.S. All of the leading public accounting firms—Arthur Andersen, Deloitte & Touche, Ernst & Young, KPMG, PricewaterhouseCoopers— and others have admitted to or have been charged with negligence in the execution of their duty as auditors to identify and prevent the publication of falsified financial reports by their corporate clients which had the effect of giving a misleading impression of their client companies’ financial status. In several cases, the monetary amounts of the fraud involved are in the billions of USD. American International Group, Inc. (AIG) (NYSE: AIG) is a major American insurance corporation based at the American International Building in New York City. The British headquarters are located on Fenchurch Street in London, continental Europe operations are based in La Défense, Paris, and its Asian HQ is in Hong Kong. According to the 2008 Forbes Global 2000 list, AIG was the 18th-largest company in the world. It was on the Dow Jones Industrial Average from April 8, 2004 to September 22, 2008. On September 16, 2008, AIG suffered a liquidity crisis following the downgrade of its credit rating. The London unit of the world’s largest insurer by assets sold credit protection Credit default swap (CDS) on collateralized debt obligations (CDOs) that declined in value. The United States Federal Reserve loaned money to AIG at AIG’s request, to prevent the company’s collapse, in order for AIG to meet its obligations to post additional collateral to trading partners. The Federal Reserve announced the creation of a credit facility of up to US$85 billion in exchange for warrants for a 79.9% equity stake and the right to suspend dividends to previously issued common and preferred stock. AIG announced the same day that its board accepted the terms of the Federal Reserve Bank’s rescue package. This was the largest government bailout of a private company in U.S. history, though smaller than the bailout of Fannie Mae and Freddie Mac a week earlier. On October 9, 2008, the company borrowed an additional $37.8 billion from the Federal Reserve Bank of New York. In the mid-2000s AIG became embroiled in a series of fraud investigations conducted by the Securities and Exchange Commission, U.S. Justice Department, and New York State Attorney General‘s Office. Greenberg was ousted amid an accounting scandal in February 2005. The New York Attorney General’s investigation led to a $1.6 billion fine for AIG and criminal charges for some of its executives. Greenberg was succeeded as CEO by Martin J. Sullivan, who had begun his career at AIG as a clerk in its London office in 1970. How could Morgan Stanley give a fair and objective determination about AIG – now there’s collusion at work. * However, on the left hand side to this in the navigation links – there are options to see extrapolations in easily read formats. * Along the upper edge of charts – choose US (or whatever country) in the window and type of chart along the bar just below that window – these appear when a left-hand link is chosen and a chart appears. Some of the charts will have current info through 2007 – 2008 , and some will not actually utilize info past 2005 – be sure to look and see before assuming it is the most current 2008 info. This is why we don’t study this economics stuff in classrooms. We study it in the real world and teach it in classrooms. It is not whether anyone has worked in the public sector before or has that experience from which to draw. It is in whether anyone has ever experienced being homeless and out of work, without opportunities and enslaved by poverty and despotism. That is the experience it takes to know why it is so very critical to have done the right things in the right ways before this and certainly, now that we are here. The practices of our “financial class,” bankers, investment houses, Wall Street, speculators and their friendly Congressional legislators have burned down the framework of freedom and prosperity in America long before today. It is why today, we have their results and the crises it has caused that is before us to solve. We have America’s economy to rebuild and opportunity to be restored. So, from the real world I learned the tangible costs of Wall Street having the run of our government and their demand that leadership equals dictatorship. I know what leadership is in a nation of freedoms, rights and opportunities to prosper equally guaranteed to all under a government of representation serving her people. I’ve seen what can happen with that and what has happened without it. The difference lends to us the results from histories of oppression and economic insolvency throughout time and around the world that we now have unfolding here. Genuine leadership in America has integrity, not pretense, because it answers to the people of America that it serves. Regardless of one’s background, status, nationality, religion, race, gender, age or “wholeness” by some prescribed measure, each and every American individually and as a nation, serves America. Everyone, whether citizen by birth or oath, or simply physically standing in our nation, is governed by consent of the governed, and nothing else. Not by law, nor decree, nor by money, nor status, nor even by principle are we governed – only, and always only, by our consent. That was the decree of freedom that made this country and it is the truth even today. There is nothing else that makes it work and nothing else that will work for very long because we have tasted freedom, died for it, lived for it, endured for it and will always fight for it. To not have freedom, rights, opportunities, equality and the possibility of prosperity makes living and enduring any difficulty immeasurable and filled with sorrows. I know. I have lived in an America without freedom – have you? —> there is an underlying belief that (probably came from education) that the raw data must be analyzed, configured, sorted and synthesized by the collecting agency who initializes retrieval of the raw numbers. —> that means . . .
other agencies that critically require those facts, figures, raw data sets and numbers for their own analysis and (programs) – don’t get them. a.) farther away from the original data collected as it originally appeared when it was first generated b.) more tainted and corrupted by alteration and analysis that is faulty. c.) less capable of realizing &/or even anticipating that the data and information is corrupt because it now has a seal of approval from each department who has handled it. —> I would likely not know the massive degeneration of those physical numbers had ever occurred . . .
All raw data sets in their entirety need to be made available to any and all, each and every dept. simultaneously, concurrently with one another in the number sets as collected (unaltered). Numbers sets are not recategorized, not manipulated to appear more or less favorable than they are and are not in any way changed from when they were collected. —->> That is a Raw Data Set. <<____.